As I have written in previous posts, the Prophet Muhammad is a central figure for Muslims. Not only is he considered to be the final prophet of a long line of prophets sent to humanity, but he is considered to be the role model that Muslims should emulate. It is for this reason that there is a great deal of emphasis placed on the hadith and the sira, the biography of the Prophet Muhammad. There are many aspects and events in his life that exemplify his character, but one in particular highlights his nature and the way he envisioned Islam. Before his death in 632 C.E., during the final hajj, the Prophet gave what has been called “The Farewell Sermon” or khutbat al-wadaa` in Arabic. In this sermon, he reminded his followers that were with him and also those in the future of the core principles of the faith. 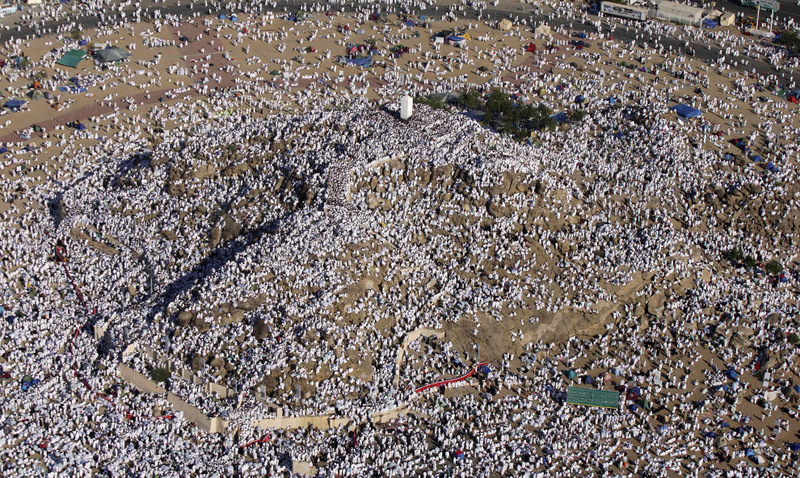 On the 9th day of Dhul Hijjah, the final month of the Islamic lunar calendar, at the plain of Arafat, the Prophet Muhammad, sensing that his death was approaching, gave his final sermon. In this sermon, he addressed a number of issues, all of which relate to the core values of Islam. First, he instructed Muslims not to harm other people so they do not reciprocate the harm. In Islam, there is the principle of an “eye for an eye” where an individual can return a wrong done to them; however, there is a strong warning about transgressing and taking more than your right. Thus, it is better to prevent this situation by not initiating harm. Second, he reminded his followers of the Day of Judgment and accountability, which is central to the Islamic worldview. Third, he warned Muslims about being tempted to do wrong deeds, as they will be asked about every action in their lives. Fourth, he reminded Muslims that both men and women have rights on each other, and that men especially are entrusted by God to treat women kindly. This point in particular is important because many people see Islam as an oppressive faith towards women; however, it is clear that the faith does not condone the ill treatment of women, even if some Muslims engage in it. Fifth, he instructed Muslims to perform the five pillars. Sixth, he highlighted that what distinguishes people is not their skin color or ethnicity, but their piety and God-consciousness. This point underscores the egalitarian spirit of Islam. Finally, he reminded his followers that he is the final Prophet and that he has left the Qur’an and sunnah (the hadith and sira) as guides for Muslims. The Prophet Muhammad is perhaps one of the most misunderstood religious and historical figures. However, for Muslims, his mission and purpose are clear and thus he is highly revered. He renewed the monotheistic faith of Abraham and laid principles to lead a righteous life where a human being is conscious of their relationship with God and with other people. In the Islamic worldview, everything in the Prophet Muhammad’s life illustrates this and the Final Sermon brought together all the core principles. Have you read the Final Sermon? What was your reaction? Does it alter your image of the Prophet Muhammad? Are there sermons like this one in other faith traditions? Please share your comments below. This entry was posted in Beliefs and Practices, Prophet Muhammad and tagged #SSRCWCG, Farewell Sermon, Hadith, Prophet Muhammad, Quran, Sira by Reem. Bookmark the permalink. I just read it for the first time today. I am a non-Muslim, but I found the message extremely inspiring. One of the most inspiring things I’ve ever read. He is talking about anti-racism and reminding men to treat their wives with respect in the 7th century! What an incredibly progressive and visionary man. He said whites are not better than blacks. He was a great man with an honest soul. We need more people like him today.